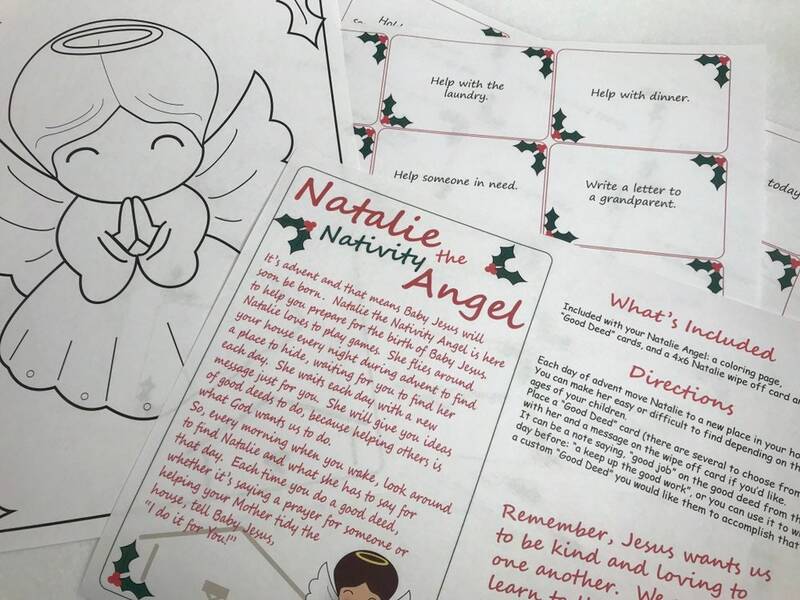 Natalie the Nativity Angel Printable, Printable Advent Angel, Christmas Angel, Advent game, Advent activities for Kids. 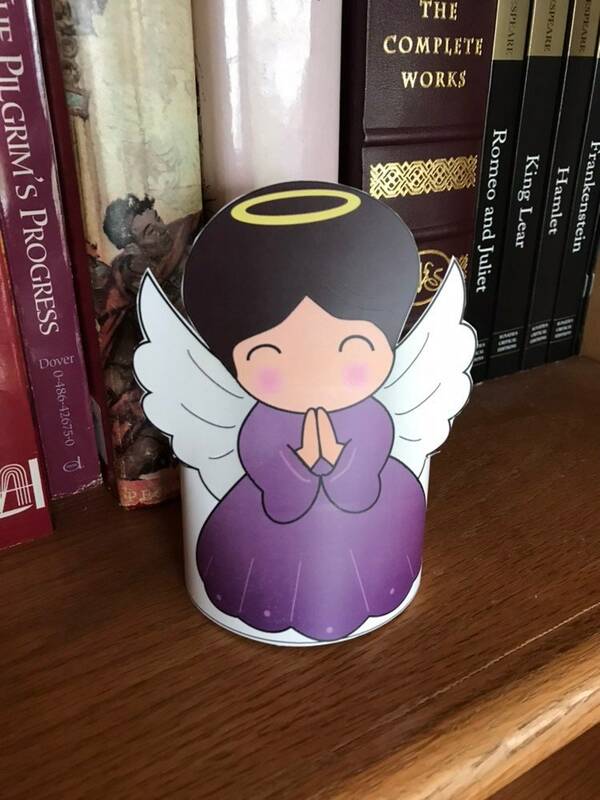 Natalie the Nativity Angel is a Christian alternative to the mischievous elf popular this time of year. It's a great way for kids learn to think of others and the true meaning of the season and prepare for the birth of Jesus. Natalie (meaning "birthday" or "Christmas") the Nativity Angel comes to visit during advent to help you prepare for the coming birth of Baby Jesus. 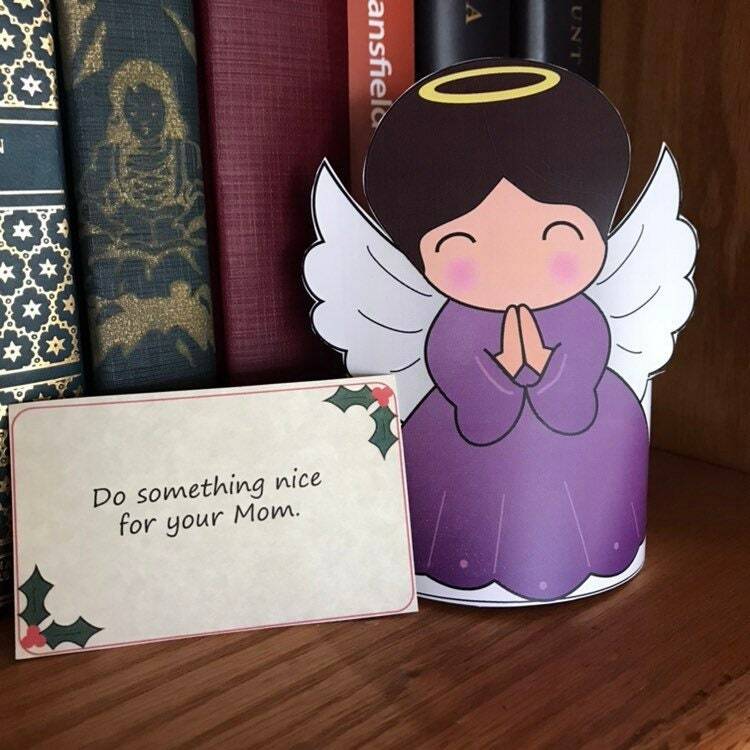 Each night of advent hide Natalie in your home for your children to find next morning with a note with a Good Deed to do that day. 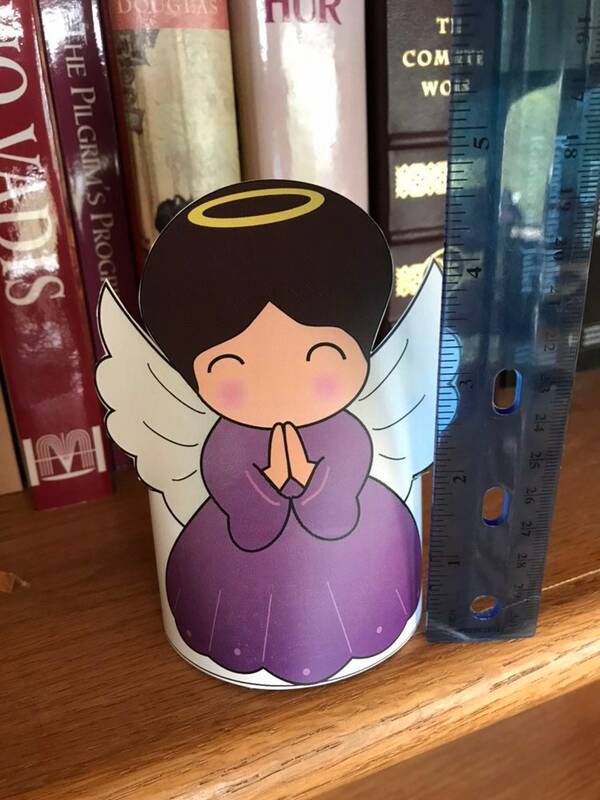 Printable Natalie Angel is approximately 5" tall. 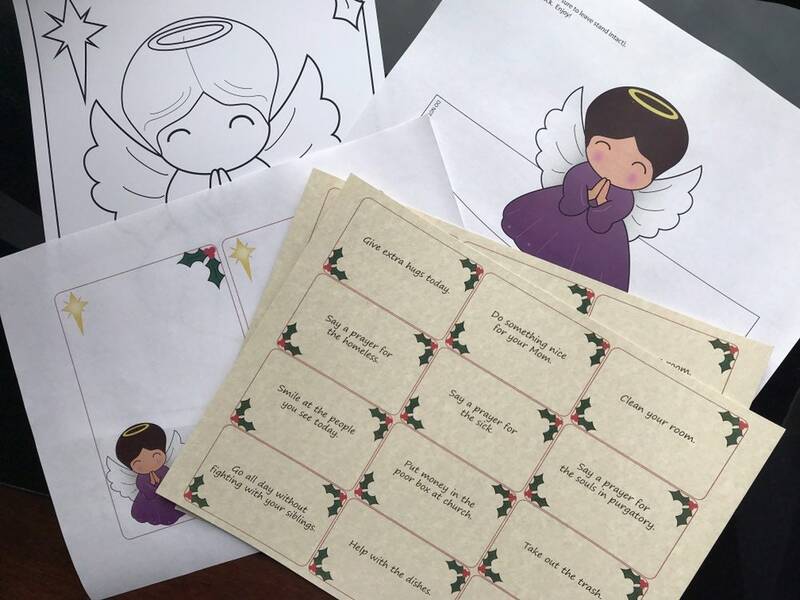 3 sheets of "Good Deed" cards. 1 sheet of two 4x6 cards for personal massages. Natalie's story, directions and a short note from Natalie. *Made in a Pet Free, Smoke Free home. **For Personal use Only! Files, printed sheets or finished product can not be sold. Files or prints may not transmitted, forwarded, shared or resold, in whole or in part. Due to the nature of this product I do not offer refunds on digital downloads once your order has been completed.